My name is Philip Harris and I’m a genre hopper. More of a genre careener actually. Sometimes, I can’t even tell what genre I’m writing in. My story, Piece Number 7, (published in Garbled Transmissions) is about the profound effect music can have on a person. To me, there’s a speculative fiction element to the story but it’s firmly rooted in the real world. In the end I filed it under magical realism. Whatever that is. And don’t get me started on Only Friends, the ebook I give away here on the site. I have no clue what genre that is. Depending on how you interpret the story, there may actually be no speculative elements in that one at all. And it’s not just my short fiction. My novels are all over the place as well. The Ghost Smuggler, is science fiction with a hint of steampunk. Glitch Mitchell and the Unseen Planet is also science fiction but it’s an over the top, action packed homage to the old Buster Crabbe Flash Gordon serials. Then we have the book I’m working on at the moment – currently known as The Zombie Book. It’s a post-apocalyptic thriller with a side order of horror thrown in. It’s very different to both Glitch and The Ghost Smuggler. Of course, whatever genre I’m writing in, there are consistent elements. The tone and style of the stories is generally similar. Even Glitch, which is a complete departure in many ways, has things in common with stories like The Bone Boy and Bottled Lightning. I do have another idea for a book which I’ll be writing next year which also has a post-apocalyptic setting (although with less horror) so perhaps I’m finally narrowing my focus. Or perhaps I’ll write the sequels to Glitch and The Ghost Smuggler I have rattling around in my head instead. This genre hopping was one of the things that slowed down the release of my first indie books. To really be successful as an indie publisher, you need to reach a critical mass of titles. Depending on who you talk to, you need 3, 5 or even 7 titles in a single series before you’ll really start to see any success. Which means jumping from genre to genre and series to series, is generally a bad idea. After all, if you have limited time to write. Focusing on a single series maximises your chances of success. While I was devising my indie strategy, I flipped back and forth on the subject of genre. If I’d been starting from scratch it would have been easy. I’d have picked an idea I loved and just gone with that. But, I have a back catalogue of short fiction, a couple of novels that I think are good enough to be published (and some others that aren’t) and a truckload of ideas that I just couldn’t ignore. The lack of focus did hurt me at the beginning. I struggled to come up with a cohesive approach. For a long time, I was going to start off by launching six horror stories, some of them new, some previously published and then follow up with Glitch. But that plan never really felt right. Two things happened that finally broke the stalemate. Firstly, I hit upon an idea for another science fiction story, a novella (working title – Leah) and I read an interview with Hugh Howey that talked about trying different things to see what sticks. The novella will definitely be an indie release, so I shelved the horror stories and switched my attention to three other tales that would complement Glitch and the novella better. The first, a straight up science fiction story called Bottled Lightning, was released last Monday. 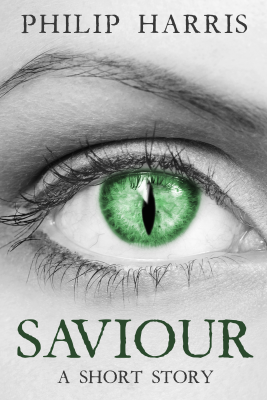 The second is an urban fantasy story called Saviour and it was launched for Kindle today. For the time being, it’s exclusive to Amazon but I expect to get it up onto the rest of the stores next year. Sometimes the strangest friends can be found in the strangest places. For Yuki, the cave is a sanctuary. It’s somewhere she can shelter from the deadly heat of the sun until winter comes. If she can survive that long. When a young girl named Alice finds her, Yuki is drawn into a friendship she hadn’t realised she needed. But how long before the prejudices of the outside world encroach on their friendship? And can Yuki survive when they do? Saviour is an urban fantasy short story, around 19 pages long. A big thank you to The Cover Collection for the cover, and Carol Davis from A Better Look Editing Services for the copy editing. The third title will be released next Monday but drop by the blog on Thursday for the cover reveal. 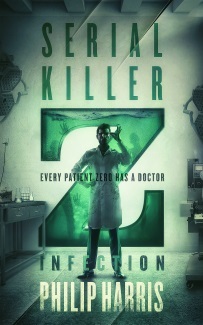 The horror stories will come later, when The Zombie Book is released. As far as genre hopping goes, I finally realised that what I write is just speculative fiction. The term encompases fantasy, science fiction and horror and so does my work. It’s not perfect – for some people, speculative fiction is just another way of saying science fiction – but it’s the best I can come up with. At least until something I write sticks to whatever it is that indie books stick to.